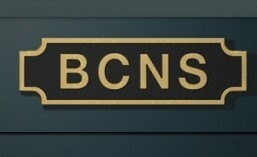 To join the BCN Society, please download and return the BCN Society Membership Form. If you are a taxpayer, it would be great if you could fill in the gift aid part of the form. Membership helps support us in our work supporting the BCN, allows you to join in the activities on our historic working pair of boats – Atlas and Malus, and ensures you get a copy of our journal “Boundary Post”. We welcome contributions to “Boundary Post”. Contact the editor directly or use the contact form below. Our magazine is called “Boundary Post” because of the distinctive boundary posts were used to mark the limits of the Birmingham Canal Navigation. Finally, you are welcome to actually meet us. We welcome guests at our meetings. The programme is published on the Events Diary tab on the menu. To my taste the best way to get there is up the Titford branch of the BCN, off the Old Main Line. We are at Tat Bank junction at the top of “The Crow” lock flight. The junction is under the M5, and signposted, between Valencia Wharf and Spon Lane junction. If you want to come by train, Langley Green Station is a few hundred yards away, on the line from Birmingham Moor Street to Stourbridge. Turn right coming out of the station, on to Western Road. Turn left at Tat Bank Road, and left again at Engine Street. By bus number 128 (Birmingham to Blackheath) goes down Tat Bank Road past Engine Street, and 120 (Birmingham to Dudley) turns off Tat Bank Road at Western Road, before Engine Street, passing Langley Green station. The is probably the quickest bus from Birmingham, but the walk to the pumphouse is a little longer. There has been a lot published recently about the intentions of the Canal & River Trust and the National Trust to renovate and bring back into use the Roundhouse building on the Main Line near the City Centre. Comments I have seen make little reference to the canal network apart from the easy access from the towpath. It would be wonderful if the restored building held something of canal-related interest for boat owners and enthusiasts. Perhaps a small museum, displays, BCNS office/shop, something showing how horses were stabled and looked-after, etc. Has the BCNS been involved at all or are they thinking of submitting ideas I suppose when the inevitable local consultations take place? Let me hastily add an apology if I have missed something in the Boundary Post magazine. I’ve been a member for years but have been unable to do much owing to family health issues. In fact, my most recent contribution to the BCN was when my wife and I steered Perch (ex FMC) which, at that time was moored at Hockley Port. I recall constant problems getting her round the Soho Loop, particularly via the north end. Yes, that was some years ago! I own some canal side land at Selly Oak, Birmingham and always admire the work done by societies such as yours. The land has about 290ft. frontage between Raddlebarn Farm Drive and the canal. It is not suitable for house building. I would be prepared to donate the land to your society, or to a member approved by you, free of charge. Please let me know if this of interest. Best regards, Julian. Thank you for this. I’ll come back to you off line. I’ve been walking the BCN (well, the towpaths, it works out easier) on and off for a few years and I keep reading about the Titford Feeder, Engine Arm and Rotten Park Reservoir. Except that I never read the same thing twice about what fed what, at what level, or when it was built. Would anybody be able to explain this to me? Titford Feeder (1770s) went originally from the Titford Pools (511 feet) to the original Smethwick top level. (When Brindley built the old main line, it went three locks up approaching from Wolverhampton, then 6 locks down, close to where the current three locks down are. This gave a very short top pound, fed from Titford Pools. It went down what is now the Tat Bank arm, and then across to the “Smethwick top pound” (my terminology) at the 491 foot level. When there was work to improve the canal, by Smeaton in the 1780’s, the three locks up and the top 3 going down were eliminated by making a cutting. The water source was then diverted to Rotten Park / Edgebaston reservoir, behind the Icknield Port loop. The Titford branch was opened later when the coal mines around the pools started – so the pools and Tat Bank feeder antedate the Titford Canal by some time. The Engine Arm is over the aqueduct at the top of the Smethwick flight, and went to an engine at the end of the arm, pumping water up to Rotten Park Reservoir. (Water level variable, but 486 feet according to my OS map) This reservoir is part of the supply to the higher Wolverhampton level. Birmingham Level at Smethwick > Engine > Rotten Park > Wolverhampton Level? Sorry about this, but always flog a willing horse! Three supplementary questions now occur to me. Firstly , where on the Wolverhampton level did Rotten Park discharge? Is that the feeder I see on the old maps heading for the end of the Engine Arm? Secondly, am I right that Rotten Park could feed the loop directly as well? Thirdly, after Smeaton, did Titford just feed the Titford Branch? It looks like there is still a feeder on the old maps, (1890) again heading for the Engine Arm, but coming from the west. Thanks very much for indulging me. I can’t get interested in canal boats, but large scale engineering, thats a different thing. As I mentioned – after Smeaton water was diverted to Rotten Park reservoir. Don’t know where on Wolverhampton level Rotten Park Park sends water – possibly Engine Arm. If you want to research it in more detail, I would welcome hearing more about your results. If the the water supply to Smethwick Locks is / was in such short supply why would the Engine Arm be used to pump water up to Rotton Park Reservoir? Surely it should have been coming the other way i.e. as wiki says ‘The Engine Arm is a short canal built in 1825 to carry water from Rotton Park Reservoir to the Old Main Line’. I know that wiki is notoriously incorrect but it’s saying that water is coming from the reservoir and your answer indicates that water is pumped by the eponymous engine up to the reservoir, and I’m confused! Could you shed more light on this? As I understand it water for Smethwick Locks was in very short supply in the early days, when it was six up and three down, with a very short top pound. Now the top pound is the entire Wolverhampton level, this is not the same problem. My speculation (and it was only that) was that water from Rotten Park travels in the direction that you and the wiki suggest – so we are in agreement. Not sure if this is the right way to contact you with the question that my husband and I have. We have a narrow boat and have been to Birmingham, about 3 years ago, and moored up in the city centre but want to tour more of the canals in Birmingham and would love to join one of your guided trips round Birmingham. See you have one in May this year but unfortunately the dates aren’t convenient to us, are you planning any trips for next year? The explorer cruises are not the only way of exploring the BCN – doing it on you own works well (though without the social advantages of the explorer cruises). You can use our safe mooring guide as a way of planning a trip. I will email you offline, and am very happy to provide some advice. I am interested in joining BCNS. I am 70 and prefer to join as a life member but realise the society does not have this type of membership class. Would you be prepared to accept a cheque for £75 in return for 10 years membership? You may make a profit from this! I’ve replied to you off line, passing this on to our membership secretary. a couple of years ago you had a stall selling selling jeans at Pellsall Festival. Do you still run the stall and where will you be setting up this year? We still run the stall. It will be at Titford Pumphouse rally – 25 to 28 of May. I expect it will be at the Tipton Community Festival, however that is not fixed yet.